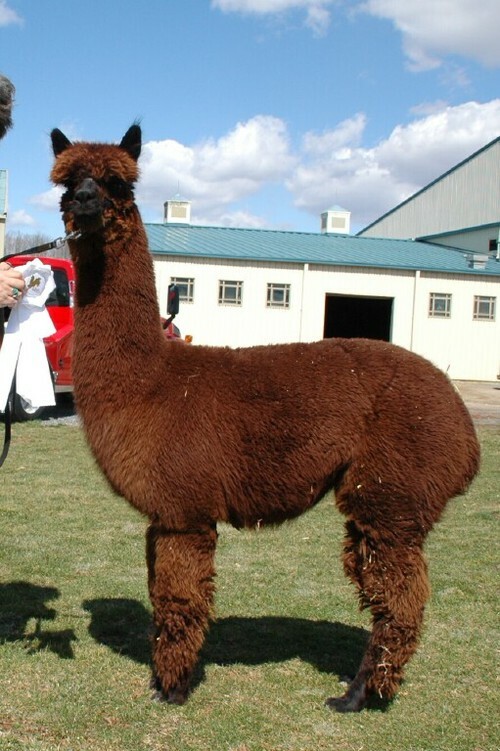 Full Chilean - Desparado has been one of Maple Brook's foundation herdsires. He has produced Champions upon Champions,such as Maple Brook Black Magic, Maple Brook Alina, just to name a few. 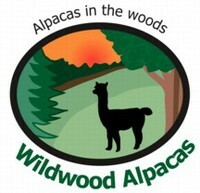 The Tierneys, half owners of the most expensive ever alpaca sold to date-one and a half million dollar-Peruvian Legacy-have a reputation for only buying and selling the best (including Bueno) would never have included Despardo in their foundation herd, in he were not worthy of their high standards. Substance, large bone, incredible crown and leg fiber-complete coverage! Ask for Price Throws All Colors! 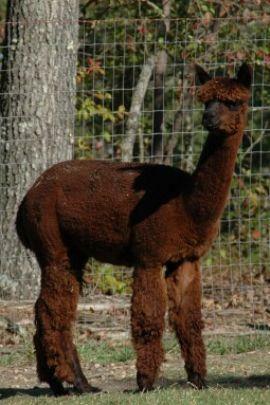 Atlaanta has a gorgeous dark reddish brown color, with black tips, balanced conformation and butter soft fleece. Judge Diana Timmerman described her as stylish with proper bone structure, awarding her a 4th in a highly competitive class of 11. 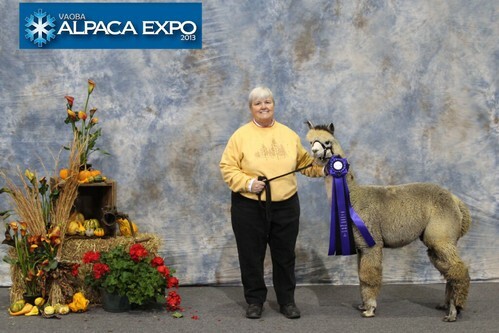 Shorn, her show career ended on a very positive note with taking 2nd place in the dark brown composite class at the 2007 Mapaca Jubilee. 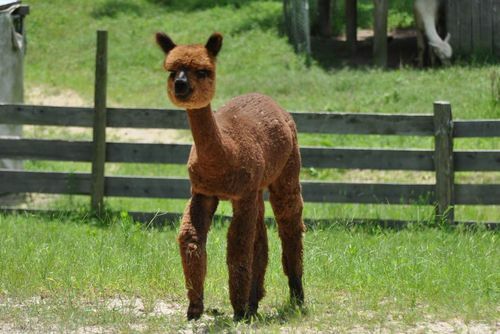 Atlaanta's breeding career started with a fabulous fawn female sired by Maple Brook Andre, coming into the world unassisted at 18lbs. 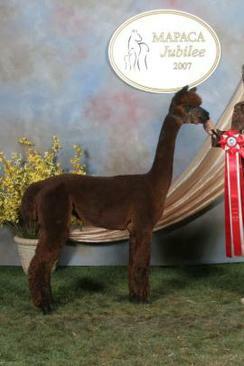 She passes the traits of the service sire to her crias. 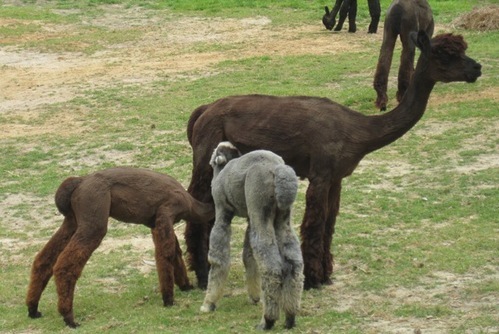 Three female crias in a row: a fawn, a dark brown and a silver grey. We repeated the silver grey breeding with HDF Hunter and Atlaanta delivered a fabulous silver grey male. Her third Hunter cria was an 18lb gorgeous brown female, Charlotte, who starts her show career in the Fall. She is a very easy birther, good mom who nursed her 2012 son and grandson at the same time!